Tell us your choice of motif, place, size, budget and when you want an appointment for the first consultation. Let us know whether you are from Amsterdam or from outside, especially from abroad. At the first consultation, We will measure the size of the tattoo and discuss the design in detail. We will then decide the cost and the date of the actual procedure. There is a deposit of €50, which will be deducted from the final fee. If your tattoo requires more than one session, the deposit will be €250. All deposits are non-refundable if you decide to cancel. We appreciate your understanding. We will complete your tattoo design three days before the actual procedure. If you like, you can come and check it before the procedure and make any adjustments, if necessary. Or you can skip that and just come on the procedure date. You can always discuss the motif via email. On the day of the procedure, you have to first sign a waiver and consent form. This is standard in any Amsterdam tattoo shop - or pretty much worldwide, for that matter. Please do not drink alcohol from one day before the procedure. 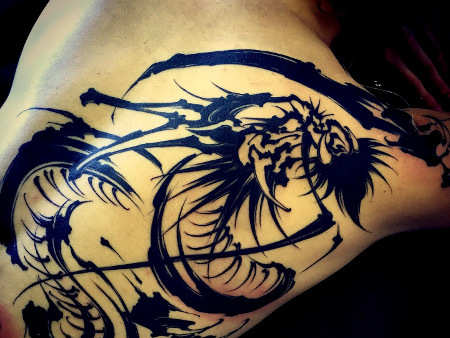 It can cause you to bleed more during the process, and can adversely affect the tattoo's outcome. When the procedure is done, We will explain everything about after-care.